The group was established in February 2015 as the Regional Social Plan Implementation Group to support and manage the implementation of the Northern Rivers Regional Social Plan launched in early 2014. Membership started with Social Futures (SF), Regional Development Australia (RDA) Northern Rivers and other organisations that nominated as implementation partners for the plan before it was launched (CRANES, The Family Centre, Northern NSW Local Health District, North Coast Community Housing Company, North Coast NSW Medicare Local (now North Coast Primary Health Network), Nortec and Tursa. The group is using a snowball method to identify and include additional organisations with interest and capacity to participate and contribute. Any organisation can nominate to join the Implementation Group. It now has 24 community and government organisations in its membership. Read the Terms of Reference and Principles and Procedures NR Social Change Collaboration. The Collaboration identified the following strengths of our region we can build on collectively. 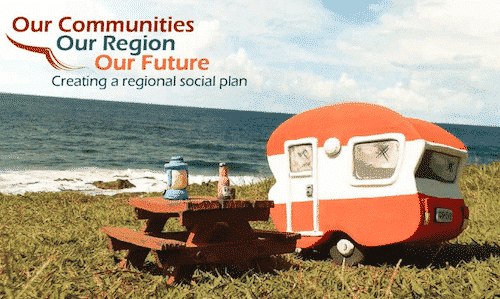 The Regional Social Plan identifies 13 desired future outcomes along with potential measures, partners and strategies. The Collaboration considered the plan, along with information about changes and issues in the service delivery, funding and policy context in the region, to identify three key action areas as opportunities to focus its work. establish an engagement process or platform to identify what is working well and how we can respond to barriers and challenges and provide better support. We are aiming to draw together work of member organisations, other activities engaging with children, young people and families in the region, and service providers’ perspectives to consider how we can better support children and young people. The Collaboration identified supporting a collective approach to domestic and family violence, including prevention, as an important opportunity for improving community wellbeing in the region. We will work with the Northern NSW Combined Domestic and Family Violence Forum to progress this work. The forum brings together representatives from the local domestic and family violence committees and regional services to focus on providing the best possible outcomes for women and families affected by domestic and family violence given the current resources available in Northern NSW. In this action area, the Collaboration is working with the Northern Rivers Housing Forum Steering Group on activities to attract and facilitate investment in affordable housing in the Northern Rivers. This includes events and activities to encourage and support collaboration between housing providers, developers and investors, and sharing information about housing supply and demand highlighting housing risks, challenges and opportunities for vulnerable households and the whole community. The following principles guide how the Collaboration does its work. • Acknowledge the tensions of working collectively in a competitive funding environment. • Work to develop shared goals. • Being clear and respectful about individual and shared intellectual property. • Allow space for organisations to progress their own work. • Communicate within and between member organisations. • Be transparent about decisions and make information available to the community. • Support shared measurement of impact. • Promote access and participation – services, planning, design, delivery, community life. • Understand and collectively influence positive systemic change. • Pursue opportunities for strengths-based work and early intervention. Acknowledgment: Social Futures acknowledges the funding contribution made by NSW Family and Community Services (FACS) through the Community Builders program, which contributed to the development of the Regional Social Plan and enables our organisation to continue to build capacity in the regional community services and health sector. 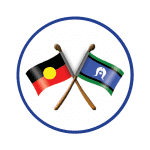 The Northern Rivers Social Change Collaboration brings community and government organisations together to work collectively to improve community wellbeing; and attract and facilitate investment for positive social impact in the Northern Rivers region of NSW.